Cutting down trees seems easy, and it can be, but if you hire inexperienced friend or neighbor to do it, it can be dangerous and pose a hazard to your safety, neighbors, and trees. When looking for tree removal services, you shouldn’t just hire an inexperienced handy man to cut down your trees on your property. This type of work is highly technical. In the wrong hands, it can result in serious problems. The same thing goes for hiring a tree cutting company. Without the right training and experience, an inexperienced person could butcher your tree and leave it in really bad shape. Hire a professional tree service company to cut down your trees. Read on to learn why it is better to have your trees professionally cut through Orlando tree removal company. You may not realize that the trees on your property could be a serious threat to the safety, stability, and ultimate health of your home. From foundation issues to cankerworms to safety issues, you want to avoid these house hazards right away by considering cutting down trees without feeling guilty about it. Here are four reasons why you shouldn’t just hire anyone to cut down your trees on your property. People contemplating cutting down a tree may deem the task to be manageable and easy. In fact, this is not the case. Removing a tree is a serious undertaking. It extends beyond the sole idea of grabbing a saw and hacking your way at the limbs and trunk of the tree. Instead, there are technical aspects that must be considered when it is being removed. Its proximity to power lines and other sources must be properly examined. Eliminating trees require a great deal of care that many individuals take lightly. It is for this very reason that homeowners should consider hiring an expert. They have the knowledge, experience, and understanding of what it takes to perform this action successfully and safely. This is a dangerous task and if performed by a non-professional, death and serious injuries can result. Being inexperienced and cutting down a tree yourself can pose a safety hazard on your property. It can kill and destroy your property, neighbor’s property and even injure others. The damage that trees can cause when they are allowed to run amok is immense. Trees have brought down buildings. They have also killed people and damaged vehicles. When a tree seems to be a potential source of danger, then it is wise to have it removed. All that you need to do is hire a certified arborist in your area of residence and you will be good to go. Many things can go wrong during a tree removal. However, experts can perform this task efficiently. We have the right tools, gear, and safety equipment to aid in cutting down trees. Experts understand how to manage the heavy equipment needed for safely cutting down trees. Their experience in tree removal vastly supersedes the knowledge of those who are inexperienced. Before trees are removed, evaluations are performed to determine any setbacks or difficulties before the task is completed. 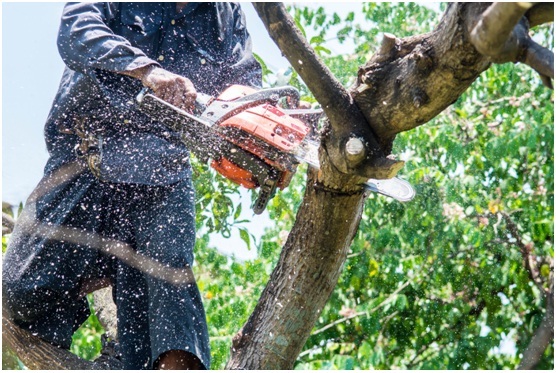 Once, this is confirmed, the right techniques are executed to ensure that when the tree is cut, it does not fall and damage any surrounding properties or utility lines. Experts can provide a better analysis and explanation of what is required to remove a tree from your home. Tree removal specialists are better prepared to handle such a precarious job. Similarly, when it comes to disposing of trees, they are capable of doing so correctly. Landscaping is why you need your trees cut professionally. There are times when trees are just destructive to the beauty of your home. This is probably because the tree or trees is totally out of place. For instance, when it is hanging over your beautiful hydrangeas or your rose garden in your backyard. To better the look of your landscape, you can have that tree removed. Are you ready to hire a tree company to cut your trees down on your property? Hiring a tree removal company is not all that difficult nowadays. There are so many of these companies available to get that tree off your property safely. It is especially vital to act fast if you suspect that the tree outside your home is going to fall any time soon. The certified arborists will work out a plan to have the tree brought down safely and have your landscape looking all nice at the same time safe. Whether you need a tree removal service for a construction project, or you need to cut down your trees to beautify your property, Orlando tree removal company can tackle it. 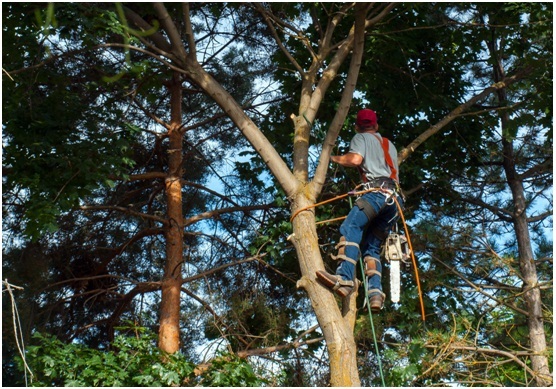 Our crews have extensive training, skills, and equipment to handle any kind of tree service, from removing diseased branches to tree stump removal to reshaping old growth of massive trees.